This past Saturday was the 4th Anniversary celebration at Hangar 24 Craft Brewery in Redlands, California. It had been three years since I had been to the brewery, so I just in the car with a couple of my roommates and we headed east. This past Friday was the 4th Anniversary celebration for Fullerton, California’s BOOTLEGGER’S BREWERY. This year’s event was held at the Muckenthaler Culture Center in Fullerton and added a nice sense of prestige to the party. I woke up Sunday Morning and immediately jumped online to find the Eagles vs. Bills game. It quickly became apparent that Philly was not gonna win this one, so I wasn’t too concerned that I was gonna have to miss it (the first game this year I didn’t watch). I woke up Saturday morning feeling rather good. No hangover and the promise of more beer ahead. 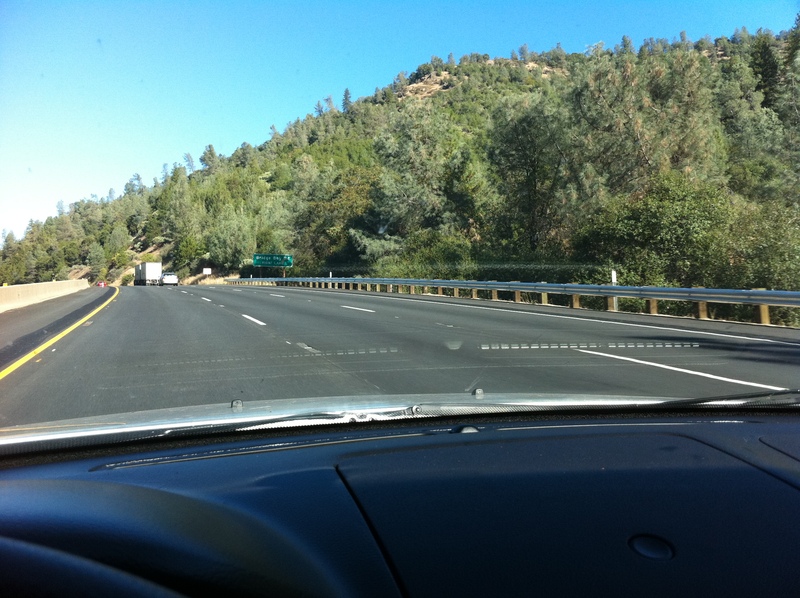 I hit the road and head north toward Seattle, but first I must past through the orchards of northern California. I saw trees growing everything from oranges to apples and walnuts. It was nice to drive down long stretches of highway with nothing but rows and rows of trees enclosing both sides of the road. 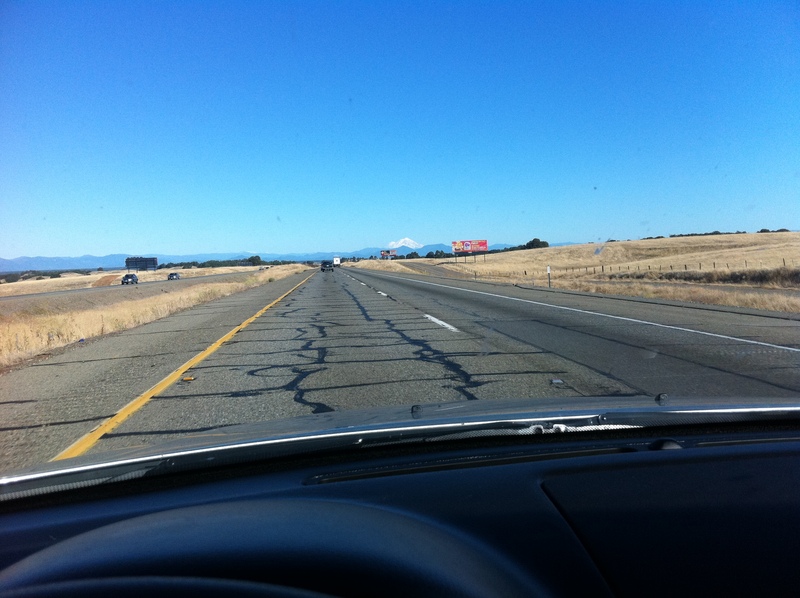 As the orchards slowly began to disappear I found myself in another flat stretch of California. 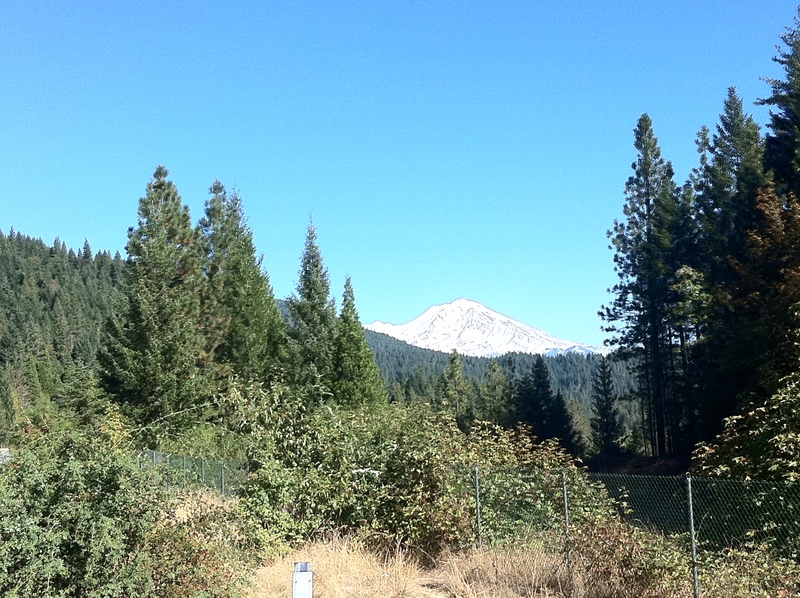 Thankfully I could see Mount Shasta looming in the distance and I knew that the scenery was going to change soon enough. 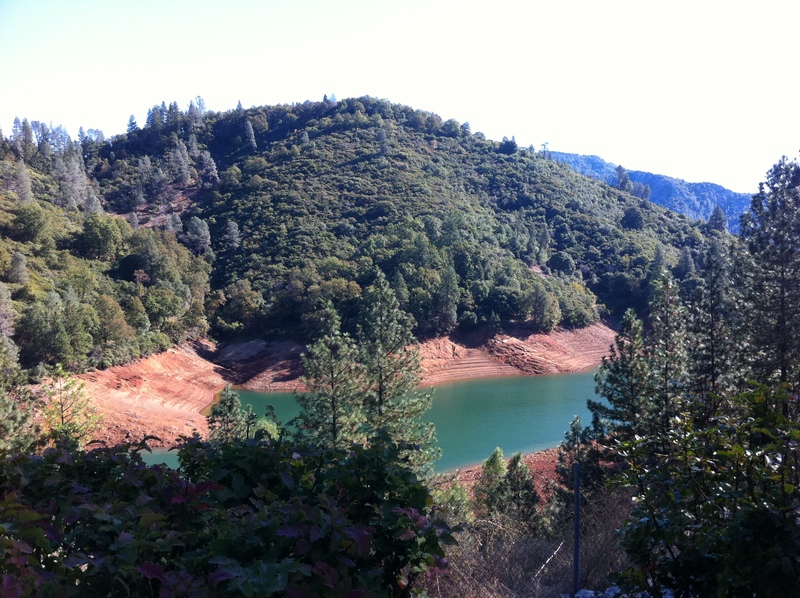 The flatlands and orchards of California soon gave way to the pine tree-lined mountains of Lake Shasta. This was one of the more breath-taking parts of my trip and really added a bright spot to my day. The mountains rose up on both sides as the beautiful blue lake carved it’s way through the forest. I really hope to get back here next spring/summer and spend a few days exploring this magnificent park. I cruised into Oregon with a smile on my face. So far, so good. Being a beer nerd I like to know as much as I can about the breweries I love. Several times throughout this trip I learned things that made me go “Oh, that’s where that name came from!”. The first being Rogue Brewing Company. The Rogue River is a not that large, but very pretty river that runs through southern Oregon. I ended up (inadvertently) following it for a good portion of the day. With mid-day rolling around my stomach started to gurgle and I knew that I needed to find food soon. With the help of my trusty smartphone I was able to find a brewpub not too far from the highway…and off I went. Mad River Brewing is located in Grant’s Pass, Oregon. I swung in for lunch and picked up a pint of their IPA. It went down fantastically and tasted pretty good with the calzone I ordered. With some beer and food in my tummy I headed back to the car. And away I went. With another trip up and down a mountain I found myself in the Willamette Valley. The Willamette Valley produces the majority of the hops that come out of the Pacific Northwest and quite a few bottles of win, too. Sadly I didn’t have time to look for a hop farm due to my strict schedule, but maybe next time. Rural Oregon soon turned into Portland and next thing I know I’m in Washington. I really love the fact that you cross the Oregon/Washington border via a bridge. There’s something cool about a maritime border. The sun soon started to fall and I was growing a bit tired. Thankfully the rest stops in the PNW provide free coffee and hot chocolate. It was nice to stop for a minute, drink a hot chocolate and watch the darkness creep in through the surrounding pine forest. 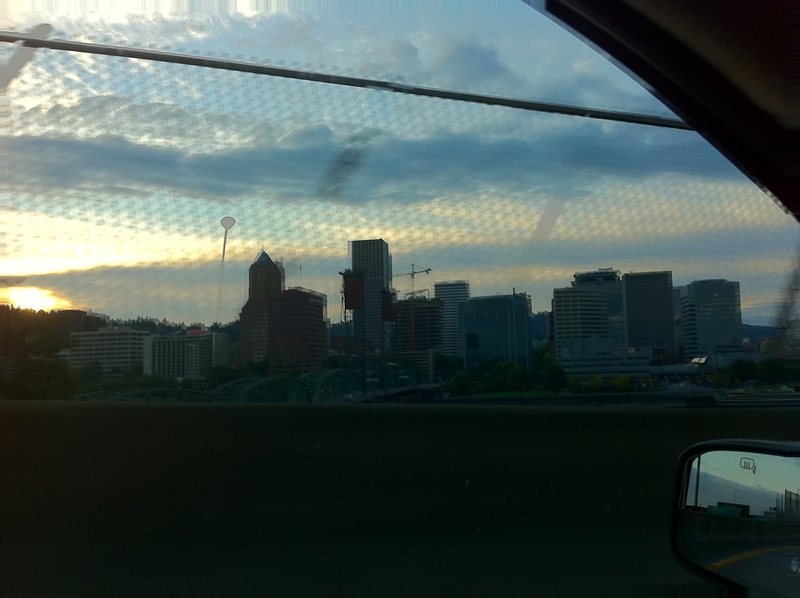 I rolled into Seattle at about 9:30 at night and I found my hotel rather quickly. Well, technically I found the area near my hotel rather quickly, but I couldn’t quite find my actual hotel. I ended up driving around the block three times (damn one way streets) before finally seeing the hotel’s sign. It didn’t help things that I was dodging the hordes of fans coming from the Sounders game. Once I saw it opened up my mind…couldn’t help it…I parked and checked in in a matter of minutes. I made it to my room and got settled in, but it was only 10:00 on a Saturday and I didn’t feel like calling it a night just yet. With another glance at the iPhone I found out that Pike Brewing Company was located only a few blocks away. With my hood pulled up to keep out the drizzle, I made my way toward Pike’s. Pike’s Pub has a very unique and very cool location for a brew pub. It’s located within a mini-shopping center type indoor mall and on the basement floor. You essentially walk into the shopping and head downstairs. Once inside the restaurant is rather large, but it was closed by the time I got there so I headed to the bar area. Technically there are two bars, but I headed to the smaller of the two and sidled up the bar. I ordered an order of fries and a pint of their season AULD ACQUAINTANCE. The fries were quite good and the beer went down smooth. The only problem is that it made me realize how tired I actually was. I had put in an 11 hour day and my body was finally starting to feel like it. Knowing that I had a long day ahead of me tomorrow I decided to call it a night. A made my way back to the hotel with the promise of pumpkin beers keeping me dry in the late evening rain. Check back later for DAY #3! Northern Hemisphere Harvest Wet Hop Ale is an India Pale Ale brewed using hops freshly picked from Eastern Washington. 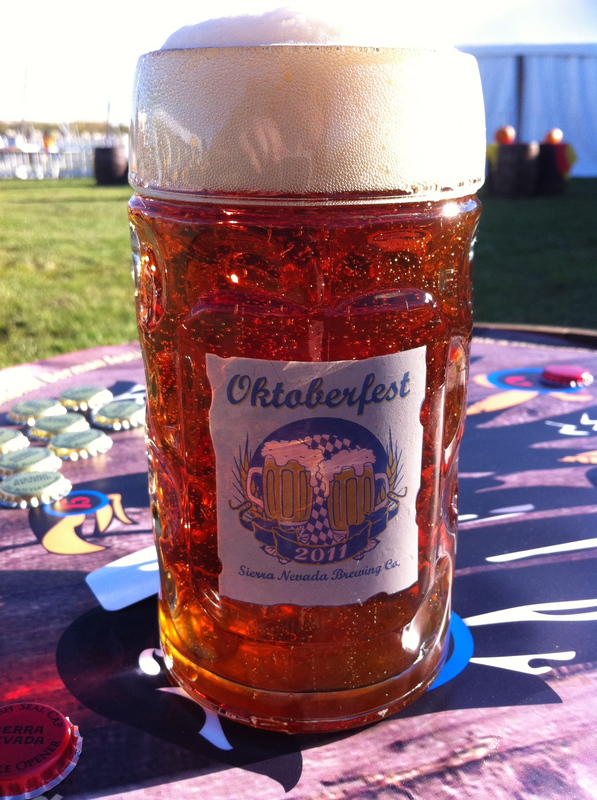 This beer arrives with the hop harvest (usually around September) and clocks in with a 7.2% ABV.